If you lawn is not growing then is may not be receiving adequate nutrients. 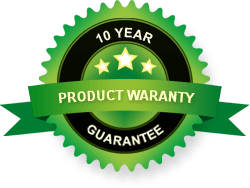 Fertilise your lawn with 40 grams per square meter of lawn food, ensuring that the product you apply is specifically suited to the variety of lawn you have. Remember to water the fertiliser in or even apply the product while it is raining. Repeat a deep watering, once a week, for 6 weeks. If the leaves of your lawn plants are beginning to curl up or yellow then the lawn isn’t receiving enough water. Longer, deeper and less frequent watering is always preferable to promote a deeper and stronger root system. Try and water your lawn either early morning or early evening to reduce the amount of water lost through evaporation. Firstly you need to have at least 100mm of good soil underneath your turf for lawns. If not, top dressing should be applies. But before you apply anything, undertake a soil pH test to make sure that you apply the right type of top dressing in terms of acidity and alkalinity for the needs of your soil. If you find that your lawn is infested with insects or grubs then immediate action is recommended. 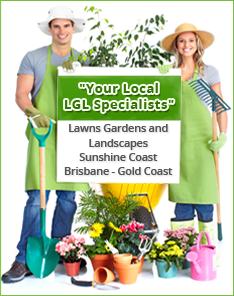 Your local lawn care supplier will be able to assist with the identification of the pest and the best course of action – pesticide or insecticide and the right product for the variety of lawn you have. Another of the common lawn problems, weeds can very quickly become a major problem. The best advice is to eradicate the weeds as soon as possible, before they completely invade the entire lawn. There are two options – manually removing the weeds or applying an herbicide which is usually best for both a large lawn and a large infestation. You must use an herbicide especially made for the variety of lawn in your yard – using the wrong type can cause irreversible damage to the lawn plants. For more information on common problems for turf for lawns click here or contact the Daleys Turf team via the lawn support form. At Daleys Turf you can buy lawn and lawn care products online.